Cardamom, Absinthe & Sandalwood || Aromatic, Savory-Smooth. 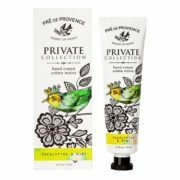 Each decadent hand cream captures a unique blend of endless inspiration while melting away dryness with hydrating Shea, Mango & Cocoa Butters, Glycerin, Beeswax and an antioxidant vitamin complex of A, E and F. You won’t be able to keep your hands off. 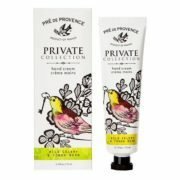 Unlock your Private Collection of specially crafted fragrances inspired by earthly pleasures of Provencal life. Open, and breathe in our dreamy, decadent combinations created to captivate your senses.